It took me a while to figure out how the espresso machine works, a success I wasn’t able to replicate with the dishwasher. I taught myself how to use the washing machine then I dried my clothes in the spin. Back home I didn’t have an iron, thus was fascinated when I pressed the wrinkles off my pants. These are the things I would love to have in my own home, they sure made my stay in Australia a lot easier. It surprised me that I could fend for myself in a foreign country, but I am more surprised with how easy I was able to adjust in a place about 4,000 kilometers away from home. There was no sense of feeling out of place, no missing the things I have back home. I mean, how could I when I stayed at Meriton Suites Chatswood, a hotel that pretty much have everything. 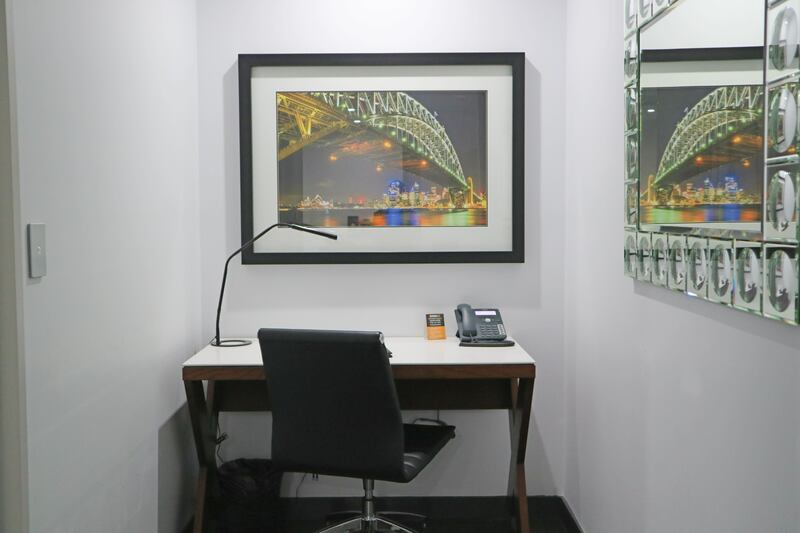 Still reeling from the fact I just spent AUD 63 (that’s 2,501.73 in peso) for a 21-minute taxi ride from Elizabeth Street to Chatswood, I pulled my luggage and walked with my back hunched from carrying Monster toward the lobby of Meriton Suites. 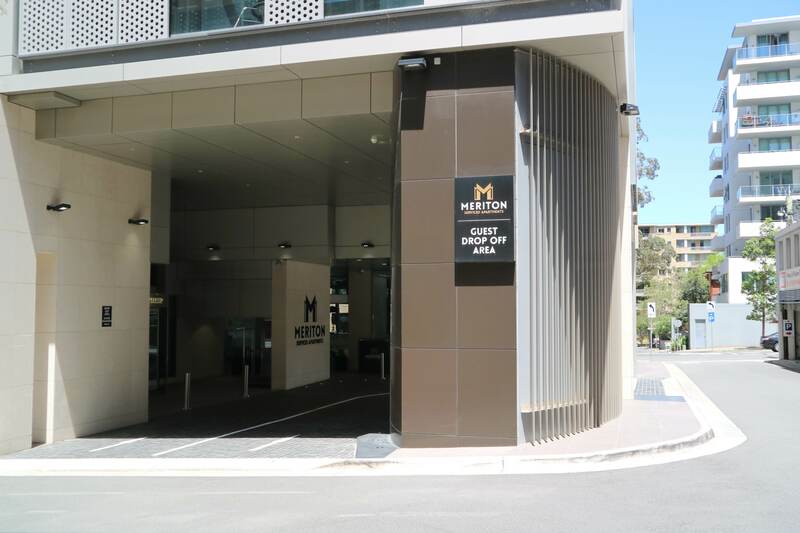 Meriton Suites is a chain of hotels, established in 2003 by Harry Triguboff, Meriton Group’s managing director and a billionaire property entrepreneur. 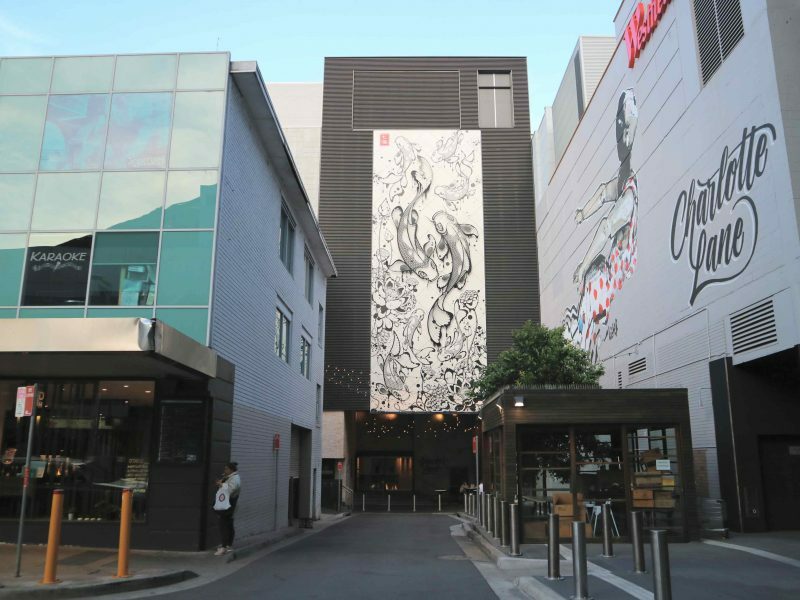 It is said to be the largest owner of hotels in Australia, operating in 18 locations in Sydney, Brisbane, and Gold Coast. 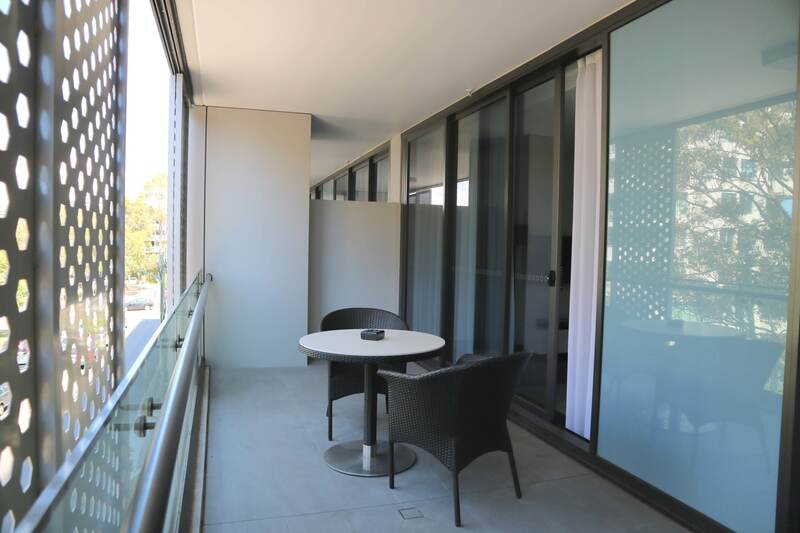 In Sydney alone, there are 14 Meriton Suites, including the one in Chatswood. 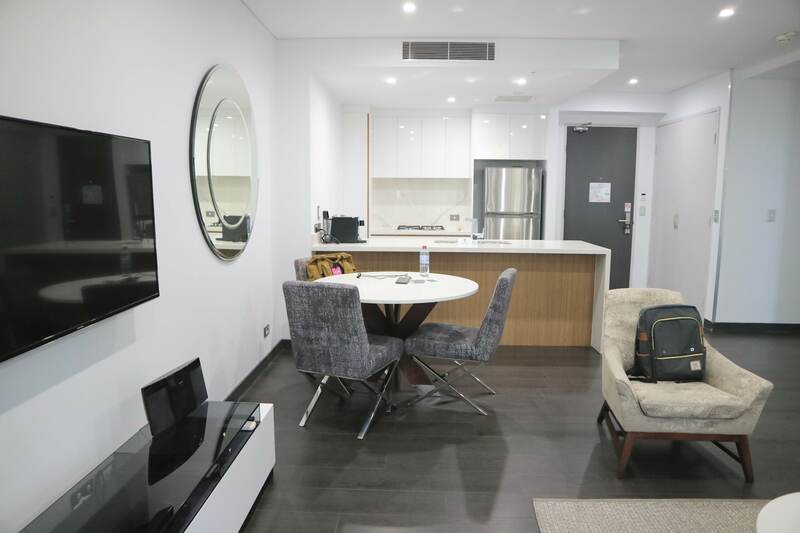 Meriton Suites in Chatswood is a serviced apartment; big space and fully furnished, ideal for long-term stays. 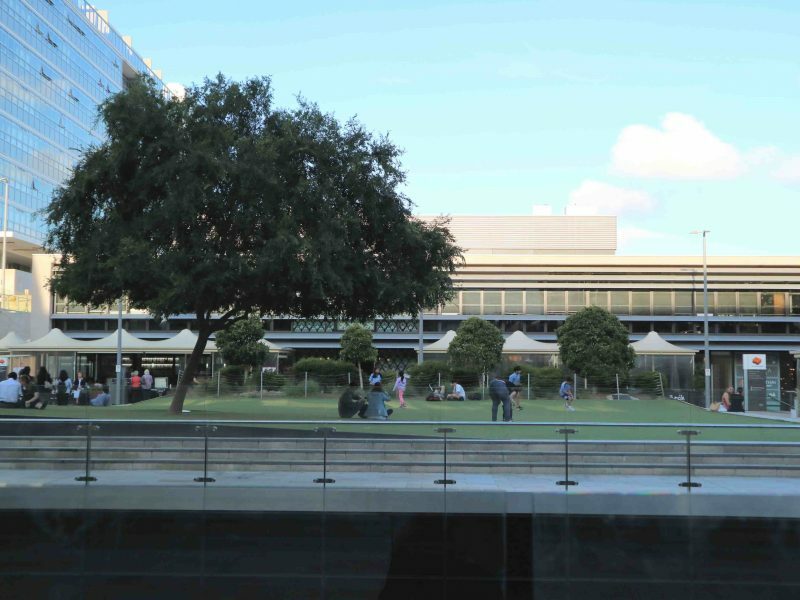 It’s just a few minutes walk from the train station and only one station away from North Ryde where the building of our company is located. I came in on a Sunday at around 11:00 a.m. I was supposed to stay in a room on a higher floor, but it wouldn’t be available until the check-in time, 2:00 p.m. 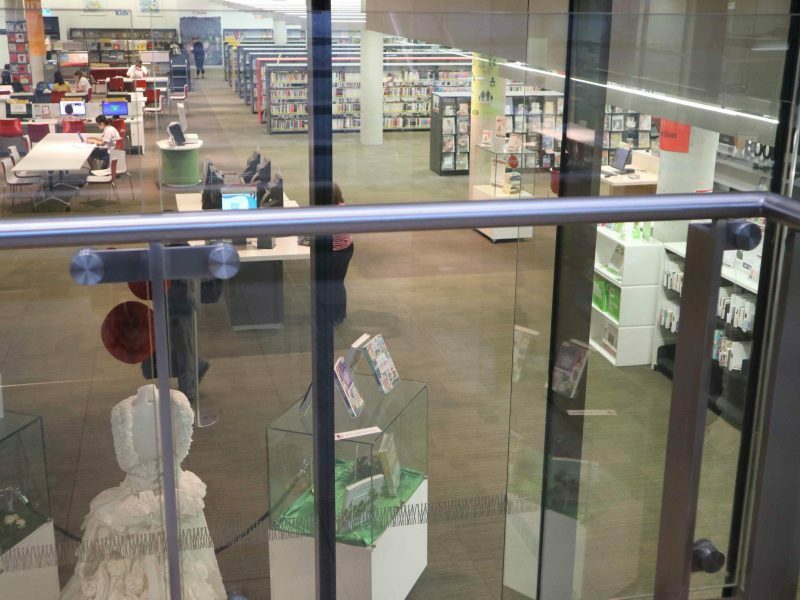 They offered another option, an early check-in, but on a lower floor. It didn’t take me long for me to decide to take the second option; a good view of the city, although preferable is not my priority. I wanted to check in early so I don’t waste time I could have spent exploring the city. 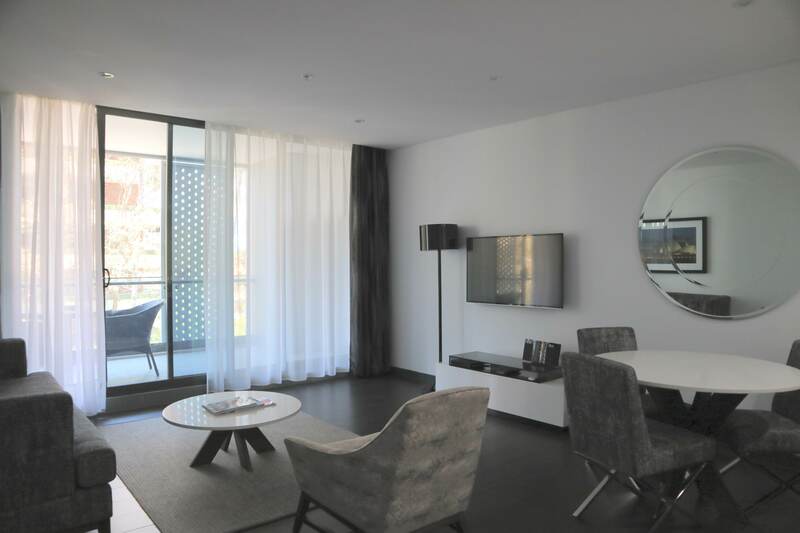 I stayed in a 1-bedroom modern suite and I wasn’t prepared at how huge the space is. 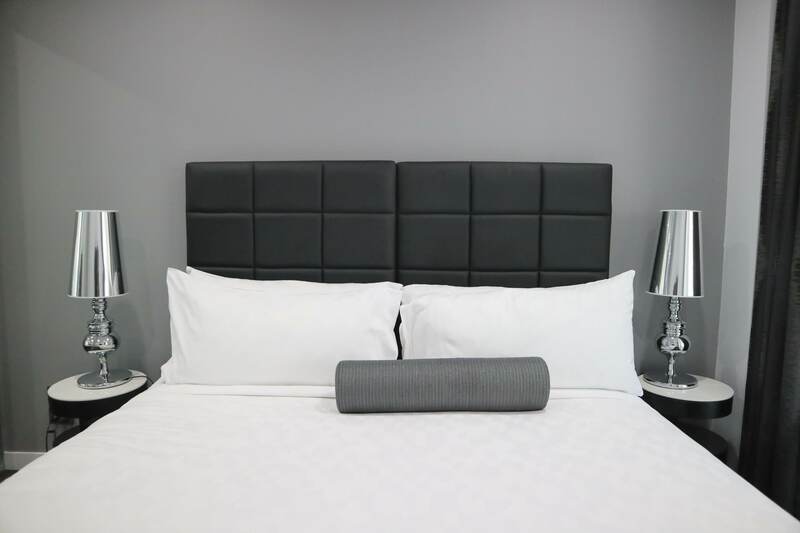 The bedroom has a king-size bed, a built-in wardrobe, and an HD flat TV screen. There’s a bathroom with a toilet, complete with plush towels, METIS skin and hair care amenities, and a hairdryer. 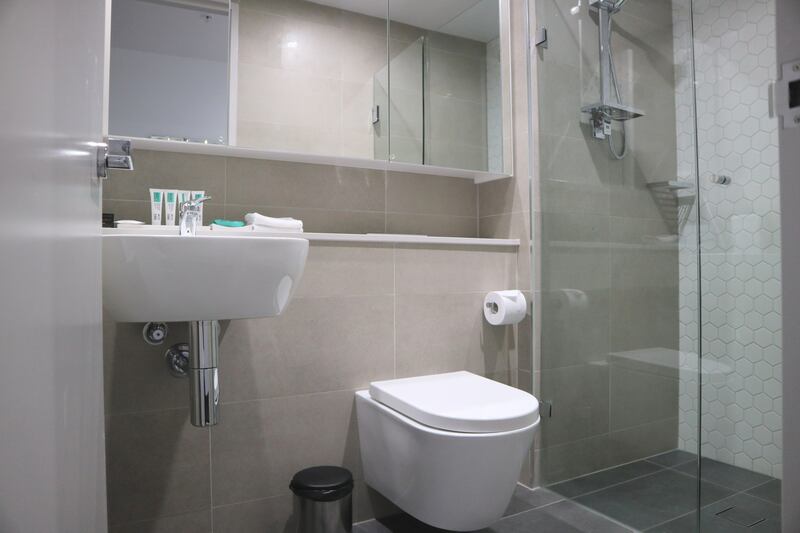 I loved everything about this bathroom especially the METIS products, but it was missing one ingredient that in my opinion would have made it perfect; a bidet. I soon learned that in Australia, they are unfamiliar with the wonders of a bidet. 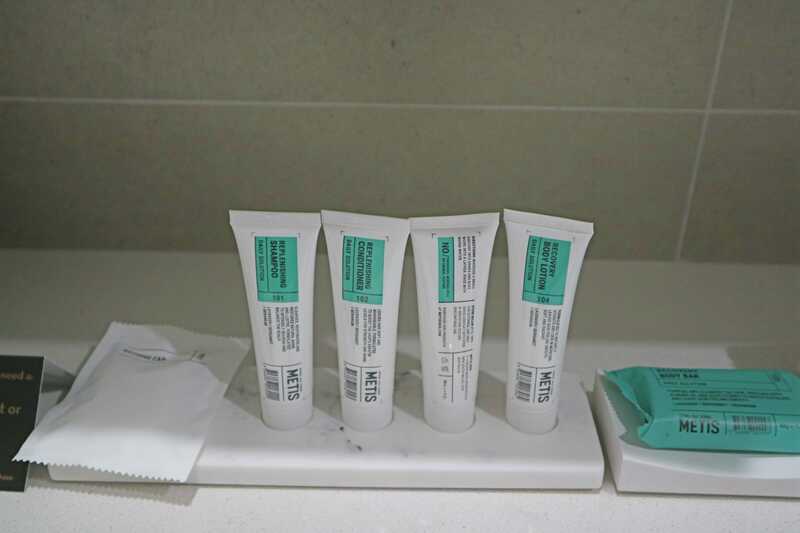 Meriton Suites Chatswood wins the best bathroom essentials award in my book. In the corner, just outside the bedroom and the bathroom is an office table with a chair. I wasn’t able to use it as I preferred using my laptop in the living room. The living room is big like I could do cartwheels and not break things. It also has an HD flatscreen TV with selected Foxtel channels. Beyond the living room is a private balcony that offers the view of the road. But what I truly loved about this room is the fully equipped gourmet kitchen. 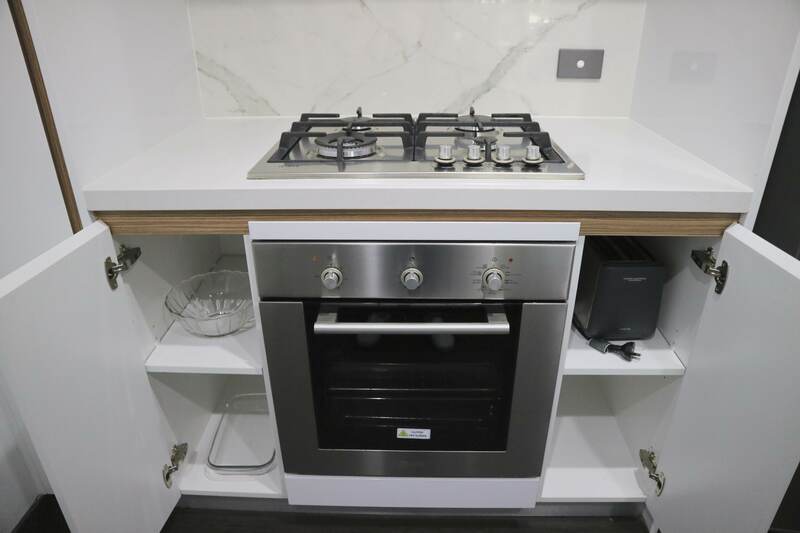 It has a Vittoria Espresso coffee capsule machine, a fridge, gas stove and an oven, and a dishwasher. 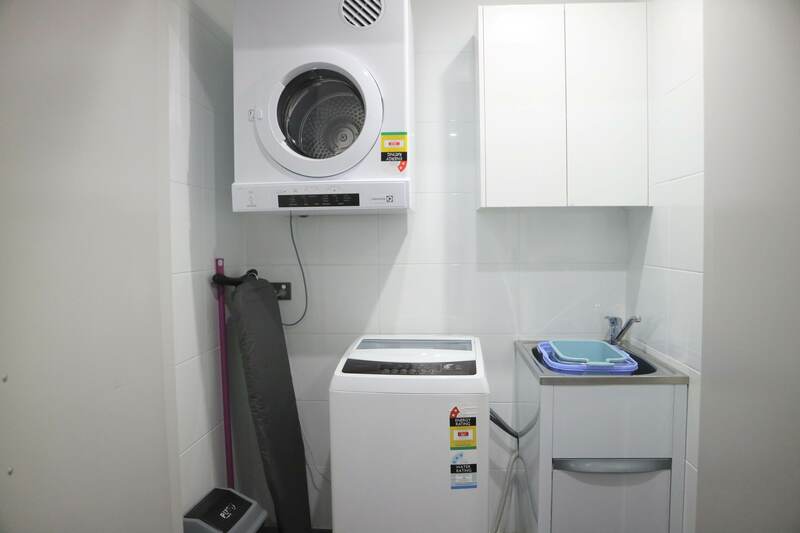 The laundry area was particularly useful for me during my stay, saved me the trouble of buying clothes because I could wash ’em. Though I had Optus, I used the unlimited WiFi of Meriton whenever I’m there. It was high-speed and reliable. 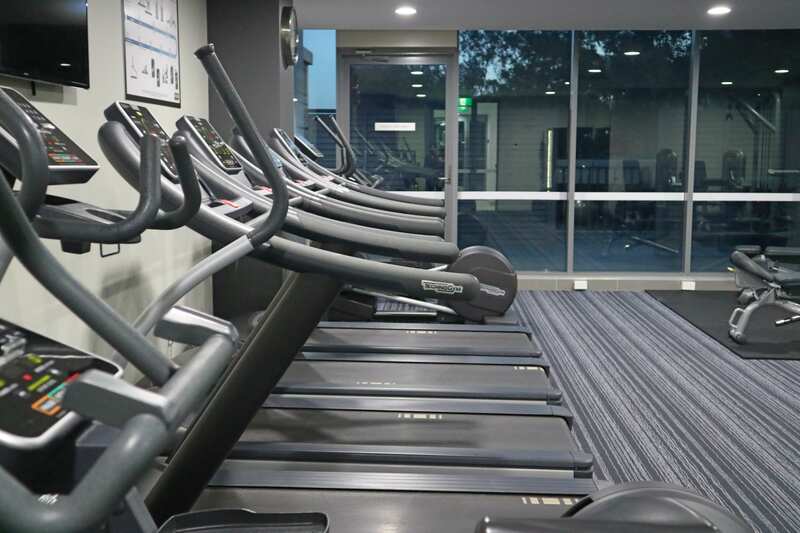 Other key features of the hotel include a 24hr Reception, indoor heated pool & sauna, and a fitness center (gym). I was able to do my workout in the gym for a day, it wasn’t crowded and it has a complete set of gym equipment. 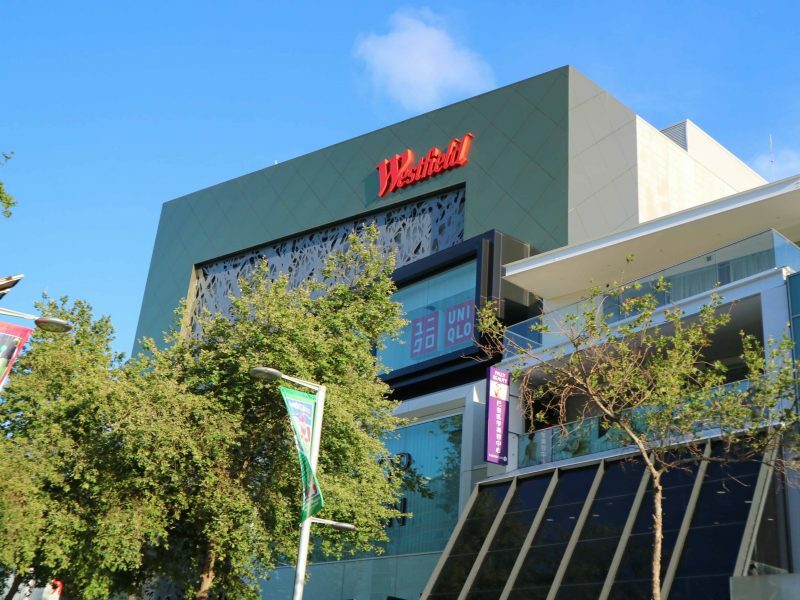 Now if you’re curious about Chatswood area, here’s a little tour. 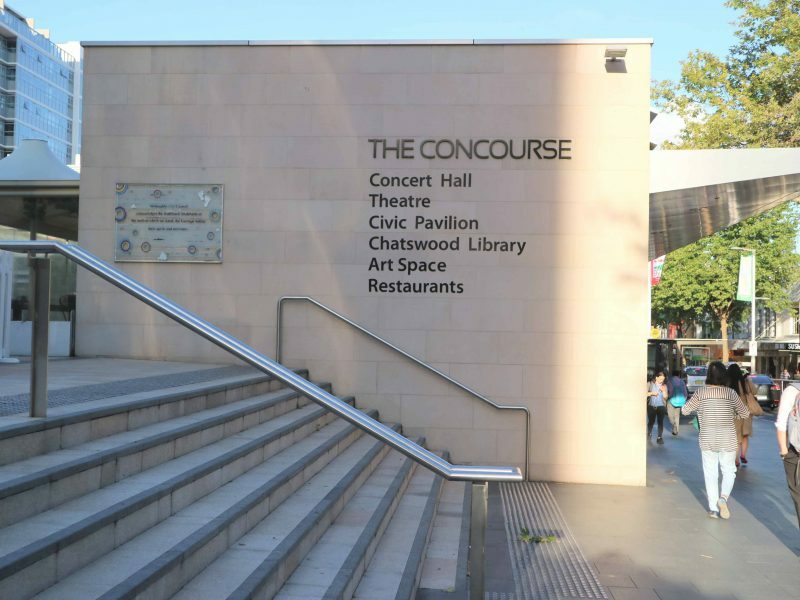 Chatswood is in 10-km north of Sydney’s Central Business District. The name came from two things, the name of the wife of the then Mayor Richard Harnett, Charlotte who was nicknamed, “Chattie”, and the wooden features of the area. 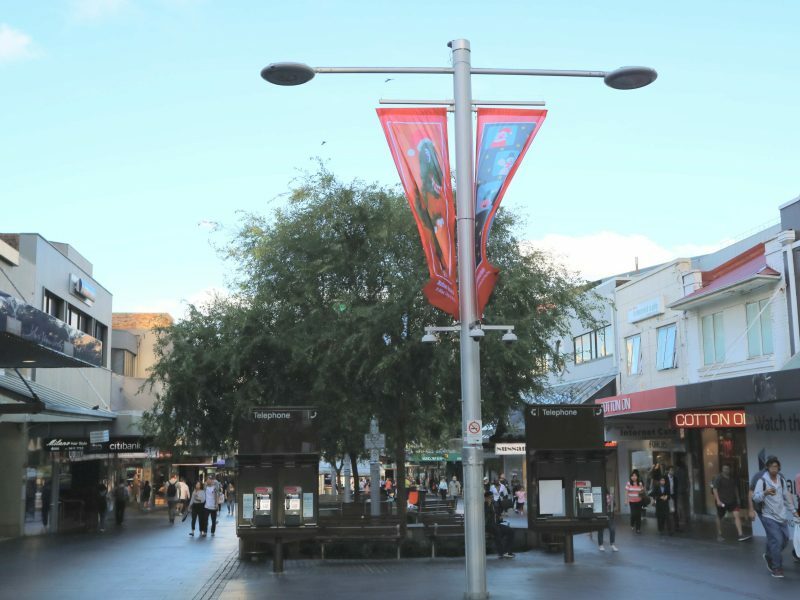 It used to be Chattie’s Wood, until it was shortened to Chatswood. There were 2 days in which I went out of the suite to check out the surrounding area and to eat, because the kitchen despite being fully furnished didn’t inspire me to cook. My feet led me to Victoria Street. 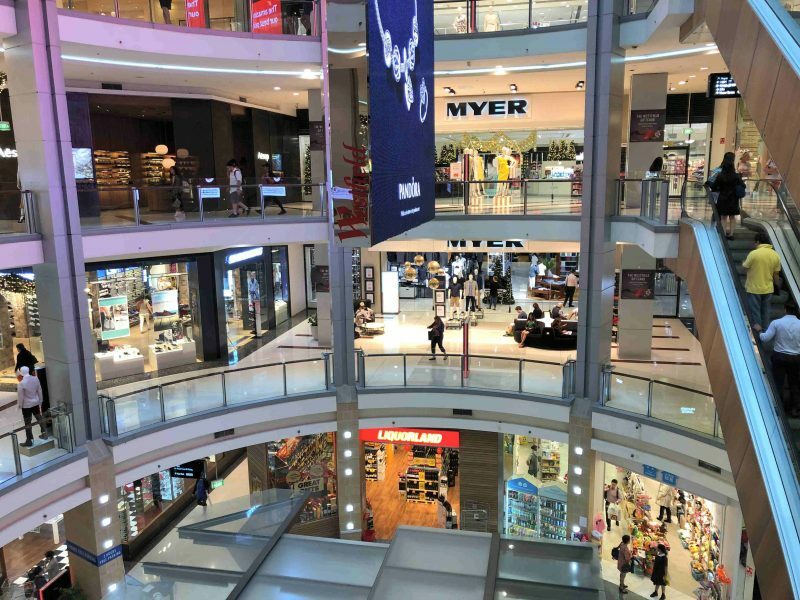 I went in springtime when the sun doesn’t set until around 7:00 p.m., but the majority of establishments in Sydney close as early as 5:00 p.m., thus there isn’t much going on outside. I keep telling my friends that one day, I would be living in another country, hopefully with a husband. I dream it to be somewhere in Europe, preferably where I can perfect my French. 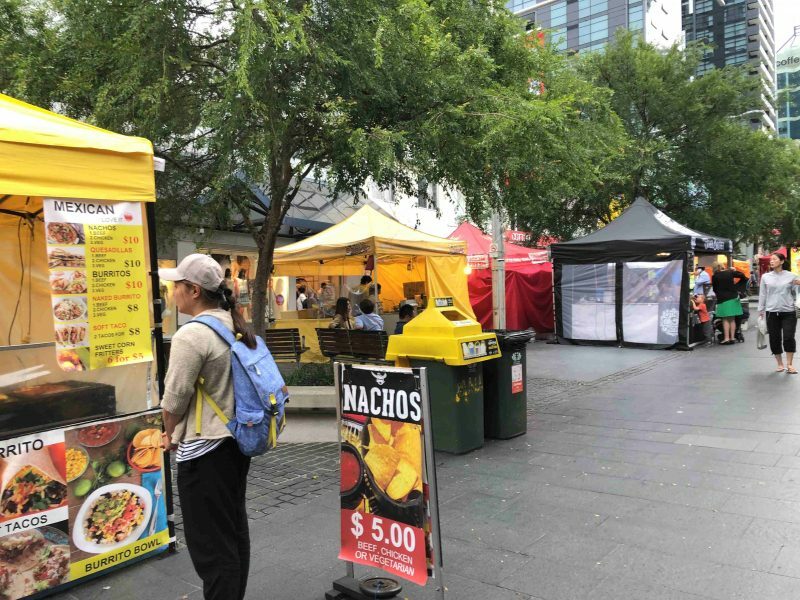 Not sure when is it going to be (and I’m hoping before I turn 40), but I’m glad that in Sydney, I had a glimpse of how it is going to be. I fell easily into a routine, I almost believed it was permanent. I think if I ever move to another country for real, I would just be okay. Marjorie, believe it or not, I haven’t used a dishwasher till date. Hahahaha I would learn when I go to Meriton Suites! Hahahaha! Btw, you did the right thing waiting for longer and got the 2 PM check-in room. Views are important. I love views from my rooms. Loved the pictures. The bed is so comfy! did not get the statement that u mentioned ” dont use iron back at home ” meaning how does one iron then ? It’s because I don’t have a pressing iron at home. I just wear my clothes after they’ve been washed and dried, wrinkles and all. 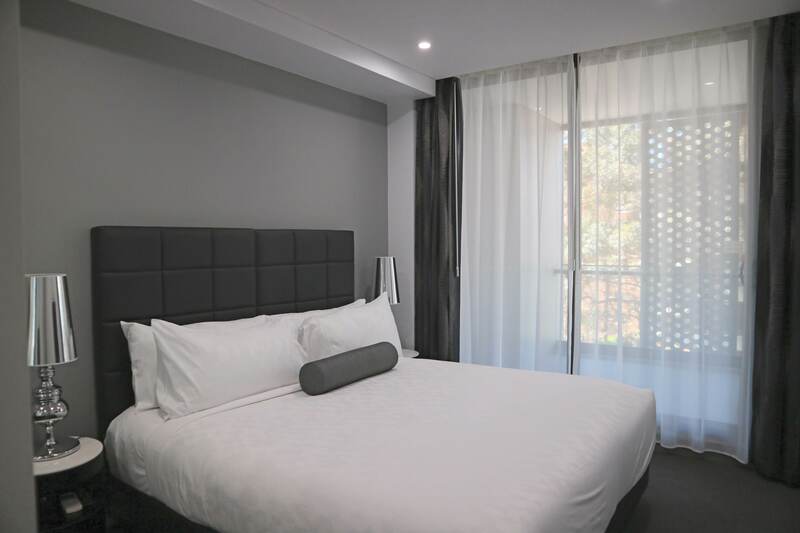 I truly love the grey, white, and beige color scheme of Meriton Suites! The room also looks very spacious and liveable. It’s like if you wake up in there, you’re automatically inspired. I also appreciate that they have swimming pools and gyms as amenities. It’s a great place to feel at home away from home. Sounds like a really luxurious place to stay. The suite looks great. 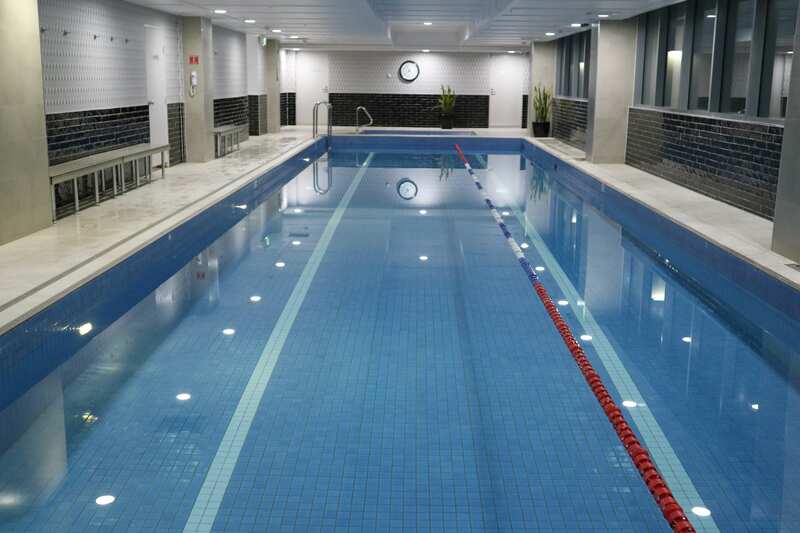 I also love hotels which have a pool and a gym! Keeping fit when your travelling is difficult! The suites look comfortable. But the laundry area really won my heart too. It is really useful and helps you travel light if you have enough facility to do your laundry during your travel. And I could as well make use of that Kitchen to cook some meals for myself which would definitely prove economical.